Crossover based on the Kia Ceed. Kia's new crossover is set to rival the Volkswagen T-Roc and start at more than £20,000 when sales start late in 2019. 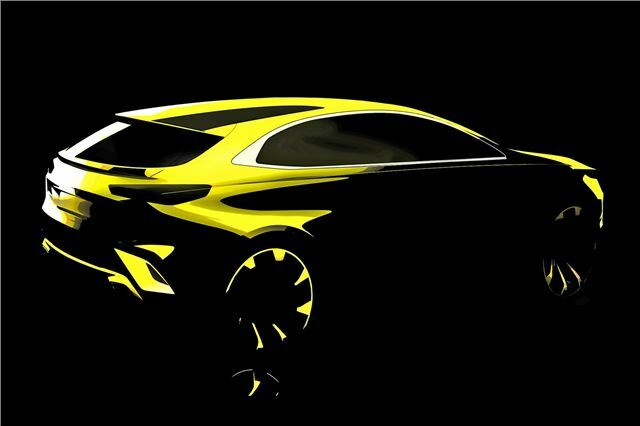 Based on the Ceed hatchback, the new crossover will be positioned between the Stonic and Sportage in terms of size. It's likely to be a more premium offering, however, meaning it could be priced above the £20,305 Sportage when orders open. Expected to be badged the XCeed, the new model joins the Ceed Sportswagon and ProCeed in the model's expanding line-up. It could be a jacked-up Ceed hatchback to rival the Ford Focus Active, but it's likely to feature bespoke bodywork and a more premium interior. The engine line-up will mirror that of the Ceed, meaning buyers will get a choice of 1.0- and 1.4-litre turbocharged petrol engines, as well as a 1.6-litre diesel. A plug-in hybrid is also expected, combining a 1.6-litre petrol with an electric motor to produce 141PS, as per the Kia Niro PHEV. The Kia Ceed crossover is likely to be revealed in the next few weeks ahead of orders opening later in the year. Prices are yet to be confirmed, but it will be offered with Kia's generous seven-year warranty.